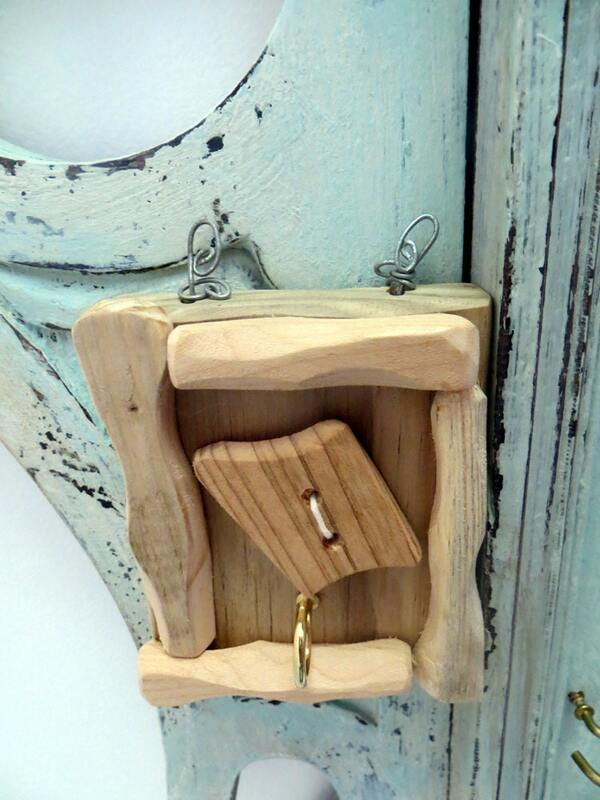 Reclaimed, revamped and recycled gifts made in my *Woody Woman's World*. 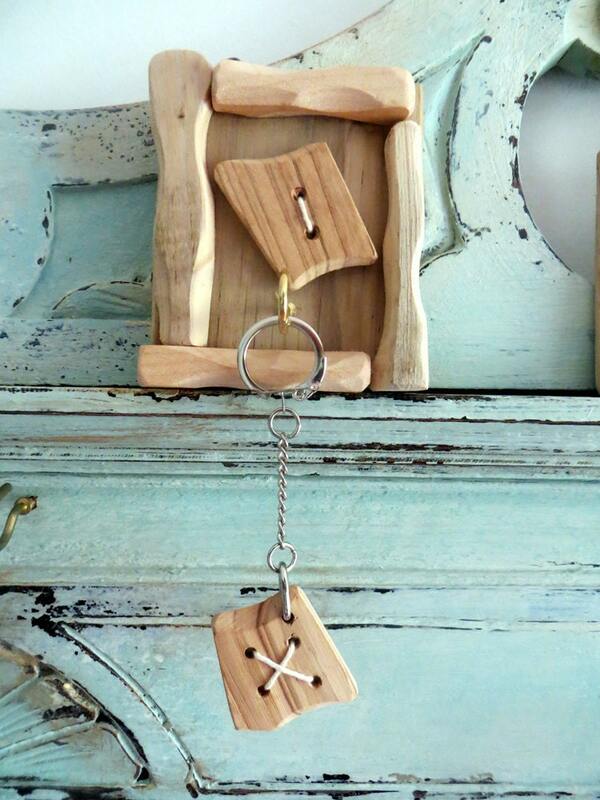 What almost became firewood treasures have now become quirky key racks. Chopped, chipped, sliced and splintered. 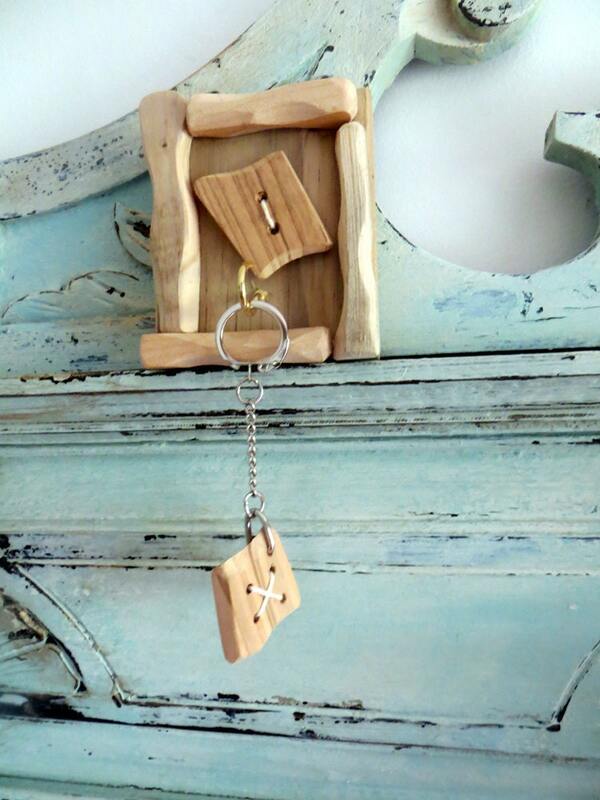 Humble pieces of wood have been perfectly finished, slotted and secured into what I fondly call my "boxy firewood key racks", creating beautiful and functional objects. They are uniquely unusual and each have a life of their own. These little treasures have been created from a variety of wood from tinniest to tiny, chunky to slender, light to dark woods, driftwood to oak....all abandoned and revamped for a new lease of life Having strong handmade made wire hangers that are positioned at the top of the key rack they can hold with ease the heaviest bunch. Left with a natural finish they are perfect for those in search for the more unusual. 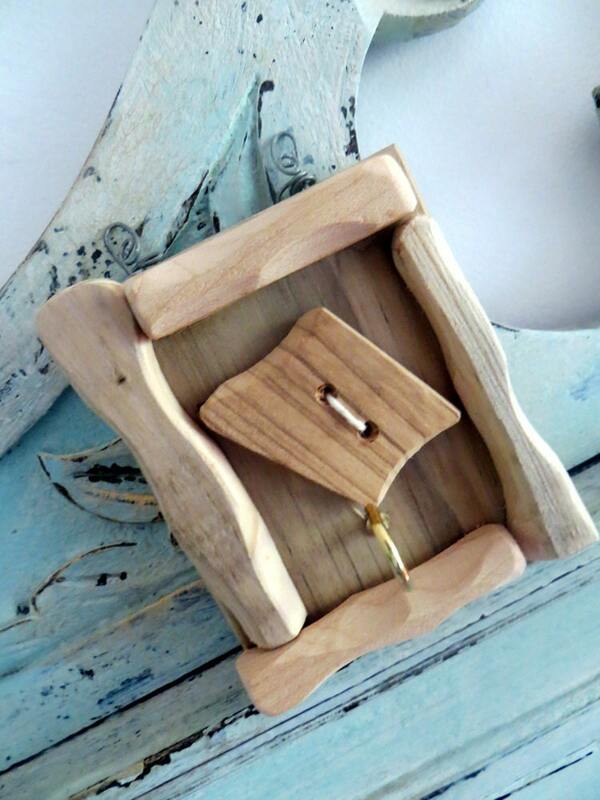 Each key rack will be beautifully wrapped and packed for it's journey to you. If you have any queries please feel free to contact me on woodywomansworld [!at] gmail.com. I am always around and more than happy to help.